Quick update on the giveaway that we posted a week ago : We're at over 50 entries and we will have the cut off later tonight at 11:59pm Eastern. Visit our post from last week for the instructions on how to enter the giveaway. #1 Visconti is debuting their hotly anticipated, limited edition Declaration of Independence pen. We are taking pre-orders on our site at the moment, but the first opportunity that collectors can get their hands on the pen will be at this show. Goldspot has requested a few choice numbers for the fountain pen and matching rollerball. 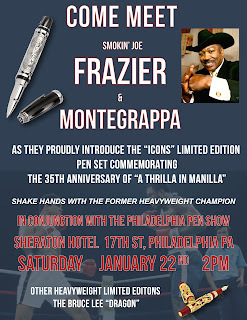 Michael Nutter, the mayor of Philadelphia, along with the Dante Del Vecchio, the owner of Visconti, will be on hand to introduce this historic pen to the public. #2 Meet Smokin' Joe Frazier! 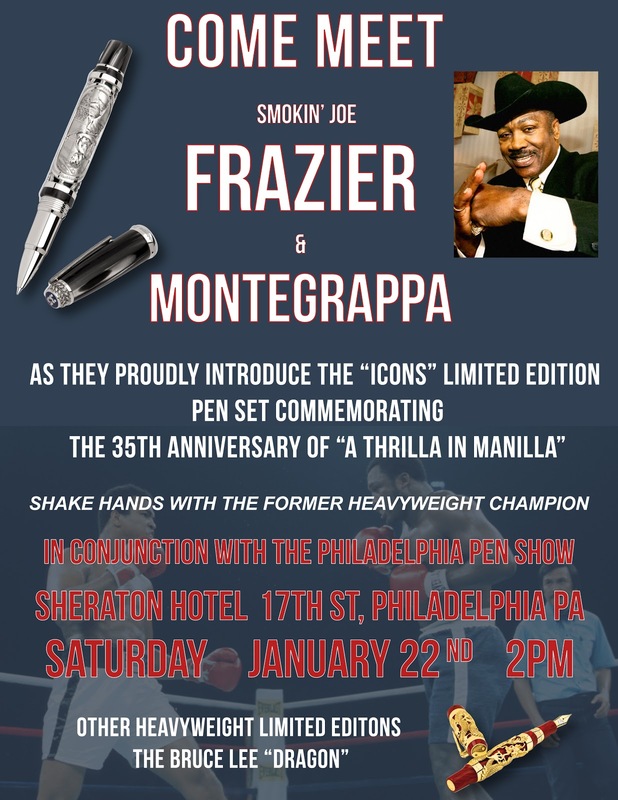 To introduce the new Montegrappa Icons limited edition pen, Smokin' Joe will be at the show to shake hands and introduce a pen fit for a champion. #3 We, the fine folks at Goldspot Pens will be attending the pen show as an exhibitor and will have a full selection of pens and accessories at special show prices. Since Montegrappa, Visconti and other brands will be present, you can try all the newest pens and get them delivered (by us) right to your door after the show! More details to come as we get closer to the date. We're sending out e-mail reminders with updates to people who are subscribed to our newsletter list. Be back tomorrow to announce the giveaway winner!